With a Tube Station and 24hr Buses located across the street it's a Perfect Location for Exploring London's Attractions such as Big Ben, Buckingham Palace, Westminster Abbey or Tower of London. Catch a Show in the West End, do some Shopping in Oxford St, Dine in Covent Garden check out the Markets in Notting Hill or enjoy the night life in Leicester Square, Soho and World Famous Camden Town. You'll have no trouble getting there or getting back to the Hostel no matter what time it is. PLEASE NOTE: OUR DORMS ARE FOR 18 TO 40YR OLDS. IF YOU ARE OUTSIDE THIS AGE RANGE YOU MAY ONLY BOOK PRIVATE ROOMS. Reception is open 24 hours. Check In is from 2 pm and Checkout is Before 10 am. Passport, Identity Card or Driver License is Required from all Guests. We accept cash in British Pounds and most cards. The Hostel is covered by CCTV and there is 24hr Key Card Access with No Curfew. Wi-Fi throughout the entire Hostel. Luggage Storage before Check In and after Check Out. Fully equipped Kitchen with Fridge/Freezers, Oven, Stoves, Microwave, Toaster and Kettle. Two Lounges open 24hrs with Massive Movie Library. Pool Table and Board Games. Sports Equipment for the nearby Park. Musical Instruments for the Musically Gifted. We are Easily Accessible from Every Airport and Detailed Instructions of How to Find the Hostel will be Emailed to you once your Booking is Made. For Group Bookings please contact the Hostel Directly. Bookings made on this or any website are Not Valid for Existing Guests. If you are and Existing Guest and make an Online Booking, your Booking will be honoured but you will be charged the Full Nightly Rate. Great. Only annoyance is the late night door slamming. I stayed 21 persons dormitory. It was nice price. Location is so good, it's near the station and bus stops. Breakfast is free and you can eat toast, serial and some drinks. Bad point is bathroom and it's a little bit dirty. Because probably, there were many people and bathroom is shared them. But it was nice staying for me. The location was great, right next to underground, the rooms had lockers and private plugs, lights and curtains. The room had a bit of a funny smell, but we were staying in a 20 person dorm. The common area was a bit old and not much room, but it served its purpose. The staff was friendly when asked, but didn't go out of their way to talk to you. The women's bathrooms were very nice and clean, and the atmosphere was very laid back. Breakfast in the morning was toast and cereal. Upon arriving, I was upgraded from the 21 to 15 bed room for free. There, one of the extended stay guests was being a d**k (according to me and at least 4 others in the room) and kept the whole room awake the night. After attempting to work it out myself, I explained the situation to the hostel, and they changed me to another room (4 beds!). 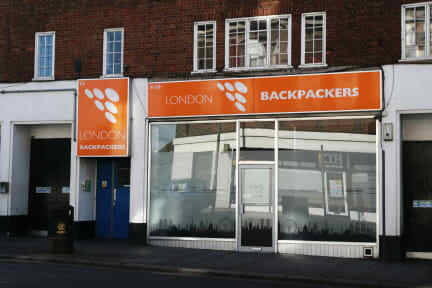 The hostel itself was clean, the breakfast was ok, and the location was out of the city center, but well located near the Northern line and Camden Market. You get what you pay for. So good price-value, although they could really use some new mattresses and pillows. I did wake up with backaches. Friendly people. The location was good, it was located near a metro station, hence was accessible. However, the breakfast as atrocious. I ate the breakfast once and never again. The bathrooms were okay, not the cleanest but it was fine for a couple of days. The atmosphere was quite depressing, to be honest, and it seemed as if some people were staying as permanent guests. The hostel is fine for a short weekend trip due to its location but I would rather spend some extra money and get something more comfortable. The sheets that were on my bed when I first came in were not clean; there are just 2 toilets (1 male and one female) in the whole hostel and it can get crowded; many people in my room were not tourists (you know that enthusiasm tourists have, cheer,..) but workers.